For those of you who are going to be at the American Anthropological Association meeting in New Orleans next week, I wanted to let you know that we are going to be having a Somatosphere meet-up from 5 – 6pm on Saturday (November 20th). We’ll be meeting at the Pelican Bar in the Sheraton to discuss the future of the site. If you’re interested in getting involved in any capacity, please join us. We’re always looking for new regular and guest contributors. If you can’t make that time or won’t be in New Orleans, but either are interested in contributing to Somatosphere or have some suggestion for how we can improve the site, please contact us at admin@somatosphere.net. 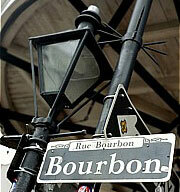 We look forward to seeing many of you in New Orleans. Raikhel E. A Somatosphere meet-up at the AAAs next Saturday (Nov 20). Somatosphere. 2010. Available at: http://somatosphere.net/2010/somatosphere-meet-up-at-aaas-next.html/. Accessed April 26, 2019. Raikhel, Eugene. 2010. A Somatosphere meet-up at the AAAs next Saturday (Nov 20). Somatosphere. http://somatosphere.net/2010/somatosphere-meet-up-at-aaas-next.html/ (accessed April 26, 2019).